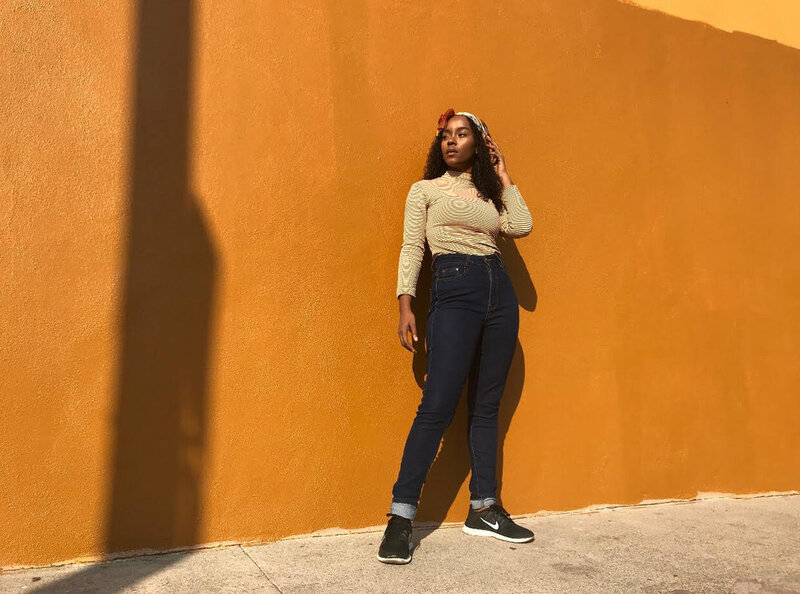 Alora Chyrie is a beautiful creative and talented soul based out of Miami, Florida. Her love for music and art started at a young age, and she’s used her talents and passions to share her experiences and journey with self-love and beauty, both inside and out. Alora is a singer and songwriter, and her music is truly an eclectic vibe where her songs don’t fall under a single genre. In 2016, after graduating from Full Sail University, Alora started The Follicle Productions. As a collective & multimedia production company, The Follicle believes that every artist is like a seed which needs water and earth to grow, and they’re on a mission to grow together. While over the years she’s shared her journey, soul, and talent through her music, Alora recently took the leap to start her YouTube channel. On her channel she shares her light, joy, passion and inspiration with the world. Alora continues to grow as an artist and a creative, and it’s been beautiful to watch her embark on her own path. I’m so excited for you all to learn about Alora’s light and passion, and start to follow along on her channel as she begins to align more and more with her purpose and life’s work. Halito, My name is Alora Chyrie. I am a life-long creative with a love of music and art. The gaining of knowledge was always so exciting to me; I find myself being engulfed in anything that is mind stimulating knowledge and enhancement of people like myself. Recently I am a new Youtuber and Vlogger. I speak on self-love and beauty in out. Surprisingly, this is something most people still struggle with on a daily basis. I find myself sharing a lot of my journey with those that are willing to listen. I also am a songwriter, I currently have music online, but I am slowly in the works of encasing more of my journey into a melody or hook to share with you all. Creativeness has been a constant aspect of my life. I found myself in musicals and plays, concerts and shows for most of my adolescent life. I started my YouTube Channel after procrastinating for more than a year, constantly telling myself I wasn’t ready. I would go as far as planning ideas, recording but never putting the final work out for the public. Until one day I decided “If not today, when?” With the inspiration of ladies like Sydney and many other hard-working women, I pushed myself to go all the way through. Realizing that so many people hold on to negative energy and end up becoming their biggest set back really made me feel like this was the time to show people that they are so beautiful within and out. On my channel, I focus on both inward beauty and outward beauty because if people don’t feel beautiful outside it is challenging to let your beauty shine from within. So I love uplifting people in ways that others have done for me. To help them strive for greatness regardless of the situation. My biggest passion would have to be love. I love to love in many ways emotional, spiritual and physical. Assisting others, I find I can showcase my love for others in a way that can be reached worldwide. With my channel, I do feel like I am falling in line with my passion. I feel this is a step in the right direction to fall in line with my lifelong purpose. I find joy in others. I find joy in connection. Feeling connected to those around me and those far away. Joy to me, is being unapologetic about who you are and having others do the same. If I can just impact one person through the lessons I’ve learned and want to share. That brings the most joy to my heart. I have to have my tea. This has become a ritual for me. I find eating from the earth helps me stay grounded and open for understanding of what my purpose is/has become. I also find myself talking to others. Friends and family to see where they are in their lives. I’m not sure, but I find this act to help me bring clarity to what is happening in my life. My younger self would definitely say that I'm late and I should have been doing this lol (she’s a bit of a know-it-all). But really, she’s always known where my path was leading. It was always to help others and Youtube is the perfect place to do so. Funny thing is, my name is kind of a mantra for how I want to live my life. Alora means “Happy or Dream” and Chyrie means “Happy or Joyous”, so I am Happy^2 if you will. When I say I AM Alora Chyrie I am literally saying I am Happy or Joyous to the 2nd power. I find that to be incredible; it’s like my destiny is to bring Alora to everyone. My biggest dream. Hmm, I don’t know if I can put that into words. I find my mind constantly growing and it’s hard to limit my dreams with words. But consistent joy does definitely come to mind. Regardless of changes that occur my dream is to remain joyous.